It is with tremendous sadness that we announce the passing of Nelda Drury. This entry was posted in Uncategorized on 12 March 2019 by tifd. Avid folk dancer, Gabrielle Louise Hildebrand passed away near San Francisco, California on December 18, 2018, eight days shy of her 92nd birthday. 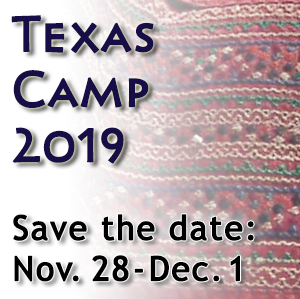 The TIFD Board is excited to announce the dance teachers for the 72nd Texas Camp: the internationally-acclaimed Tineke and Maurits van Geel and the graceful and talented Andy Taylor-Blenis.